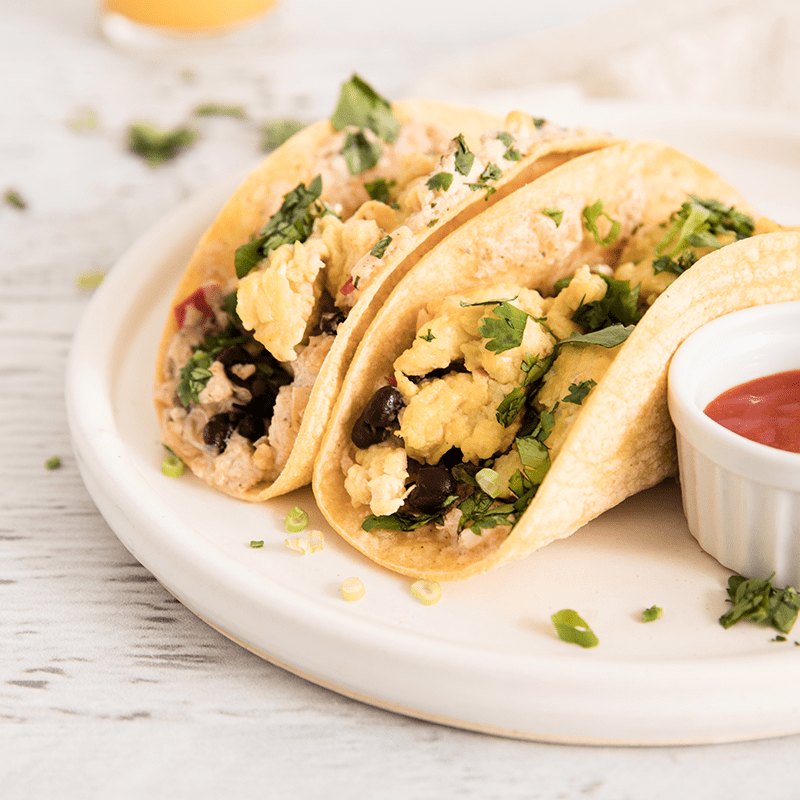 Move over breakfast burritos, these breakfast tacos are not only delicious, but they are fun to make too! In a large nonstick skillet over medium, HEAT 1 tablespoon oil. Add green onion and garlic and cook for 1 minute. Stir in beans and cook for about 5 minutes. Stirring occasionally, until heated through. Transfer beans to a bowl and wipe off cooled skillet. In a medium bowl, BEAT eggs with 1/4 cup Stonemill Kitchens Roasted Chile & Pepper Jack Cauliflower Dip. Place skillet back over medium heat and add remaining 1 tablespoon oil. Add eggs to skillet and cook, stirring occasionally to scramble eggs. PLACE remaining dip in a microwave-safe bowl and microwave until warm, 35-45 seconds. To serve, PLACE 2 tortillas on each plate. Spread generously with warm dip, then top with beans, eggs, and cilantro. Pair breakfast tacos with a Michelada or Bloody Maria.